The world of social media can be a cruel place. Unnecessarily cruel. After all, it is so much easier to be hateful when safely sitting behind a computer screen. 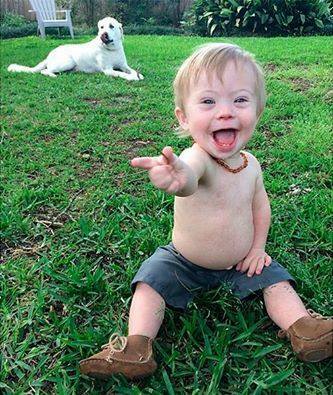 One Texan mother found out just how awful the online world can be when she posted a beautiful picture of her little boy on Instagram with the hashtag #downsyndrome. It wasn’t long before a ‘troll’ had reportedly left the comment ‘ugly’ in response to the picture. Take a look at her little son Quinn. Really, how can anyone be so heartless and so wilfully hurtful? Such a happy, gorgeous little man. What really has made the news is his Mom Megan’s response to the alleged troll. Read about it here on KTVU-TV – Bay Area’s website. So heartfelt. This entry was posted in Commentary and tagged In The News by Mamasim. Bookmark the permalink.